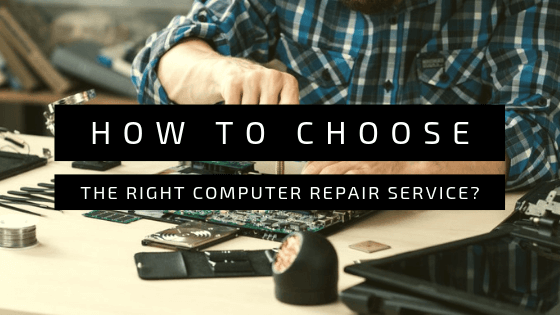 Tech-Wonders.com » How-to Topics » How to Choose the Right Computer Repair Service? Whenever you come across any of the problems in your computer or laptop, the first thing to hit your mind is hitting a service center. What to do you prefer at that time? How do you choose the repairing center? No matter you live in a big city or a small town there must be a various number of small and big repairing shops in and around you. Do you get the servicing done from the local shops or you visit the chain service center of the company that can be found in your city? What should you choose? How should you make a decision? Whether to go with a brand or go local? The write-up below covers all the important points on how to choose the service center for repairing your computers and laptops? Do not fall in pits that are created by the advertisements. Be it an online advertisement or advertisement in a newspaper, do not trust anyone. The best advertisement does not mean that it is the best workshop for your computer. Advertisements may or may not be right. Go for referrals. Advertisements are not at all the references. You must choose your friends and acquaintances that which is the best computer repairing center in your area. If you are availed with the single service station as a personal choice from many then it makes the best place for you to visit for repairing your computer. If not then you will have to check the reviews online. It is also a good source to get a suggestion about the choice of the service center. If you had ever visited a service center prior and had not received satisfactory services never visit that place ever again. You can get many other choices but do not visit the same place ever again that is not at all the wise decision. Make a little on the ground survey, if you do not have any other source that lets you know about the good computer service station. You can visit the local stores and spy a bit. Ask the customers visiting and leaving the shop how are the services provided by the same? In this way also you are able to receive the information and choose the right service center. If you have more than one suggestions about the service center that provide good services in your locality then take the quote from all the stores and then come to the conclusion that gives you good services at economical rates. Decypher Technologies – Computer Repair provides you all kind of desired computer repair within minimum time and at cheapest rates. Before you leave your computer at any service station ask all the questions you have in your mind before dropping your computer. Take note of all the components and computer configuration with you. If it requires any battery or other component replacement, take in note beforehand. It is better to know the time and expenses required while you leave your system. Self-satisfaction is the most important thing. You can go with referrals, but doing the personal enquiry at your end is your right. Make all the queries before finalising any store. If you do not find any suitable local store than the last option is to go with the company’s service center nearest to your place rather than going with any local shops.